Place the ground chicken, egg salt, pepper and bread crumbs in a mixing bowl and mix well. Form mixture into 6 patties. Chill in the refrigerator for 15-20 minutes. Meanwhile, mix the Mayonnaise and Cajun rub together. Cut your lettuce, tomato and onion for the burger. Pull the chicken from the fridge and sear over medium high heat on both sides and cook until fully cooked through (165F). Assemble Buns with lettuce, tomato & onion along with Cajun mayo. 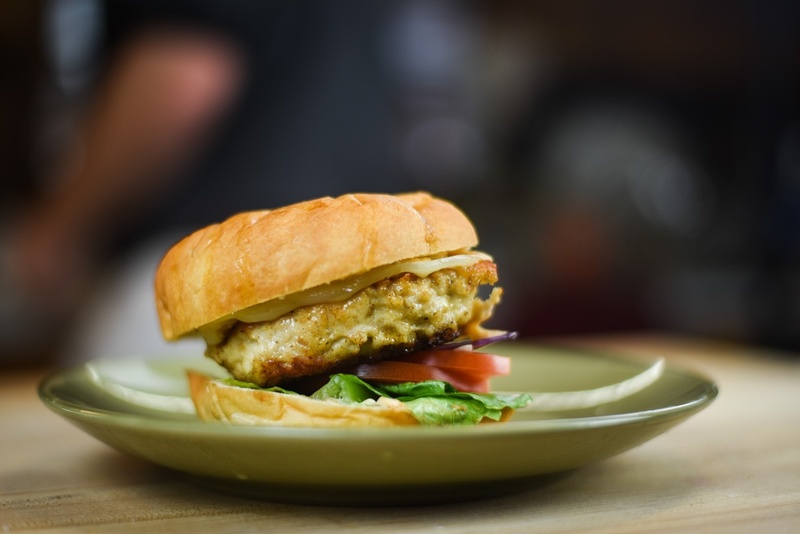 Place cooked chicken burger on the bun and top with Provolone cheese. ENJOY!